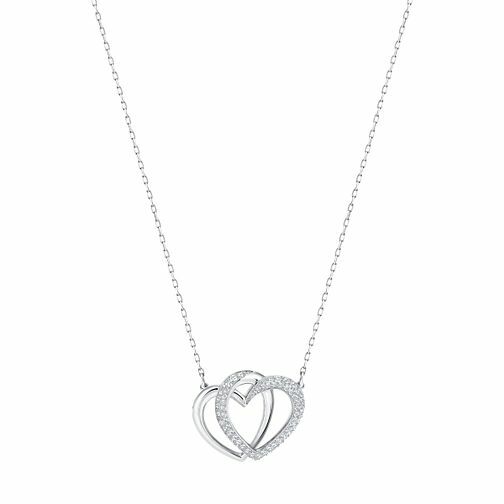 Perfect as a gift, this delicate necklace features a sleek, entwined heart design – a symbol of everlasting love. With sparkling clear crystals set in classic pave and rhodium plating, it will add simple, modern elegance to any day or evening look. Swarovski Dear Crystal Necklace is rated 5.0 out of 5 by 1. Rated 5 out of 5 by Anonymous from Necklace Lovely necklace, good chain length and sparkly, good price.